Embrace modern starlet style with this sparkling crystal side tiara and bejewel your hair with romantic elegance. 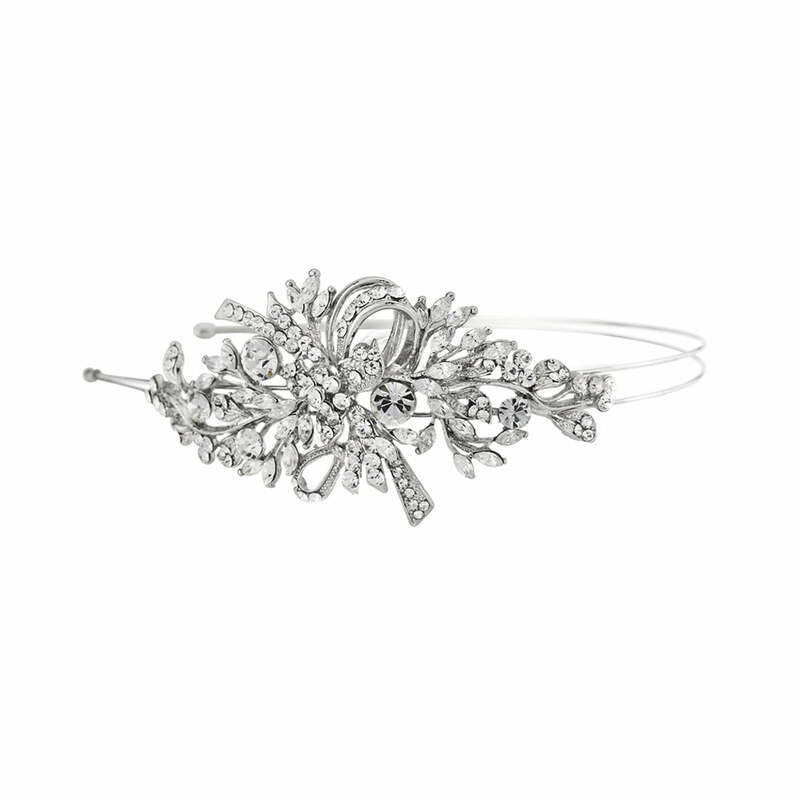 Embrace the sheer romance of our Extravagance of Love Side Tiara. Featuring a centre double loop bow intertwined with sparkling Austrian crystal tipped stems, this beautiful ‘piece’ adorns with a hint of delicate Old Hollywood charm. Set on a fine double silver tone band, Extravagance of Love complements every hair length and style. From the shortest of chic crops or the longest, flowing waves to a classic up-do, its versatility dresses bridal hairstyle with effortless elegance. 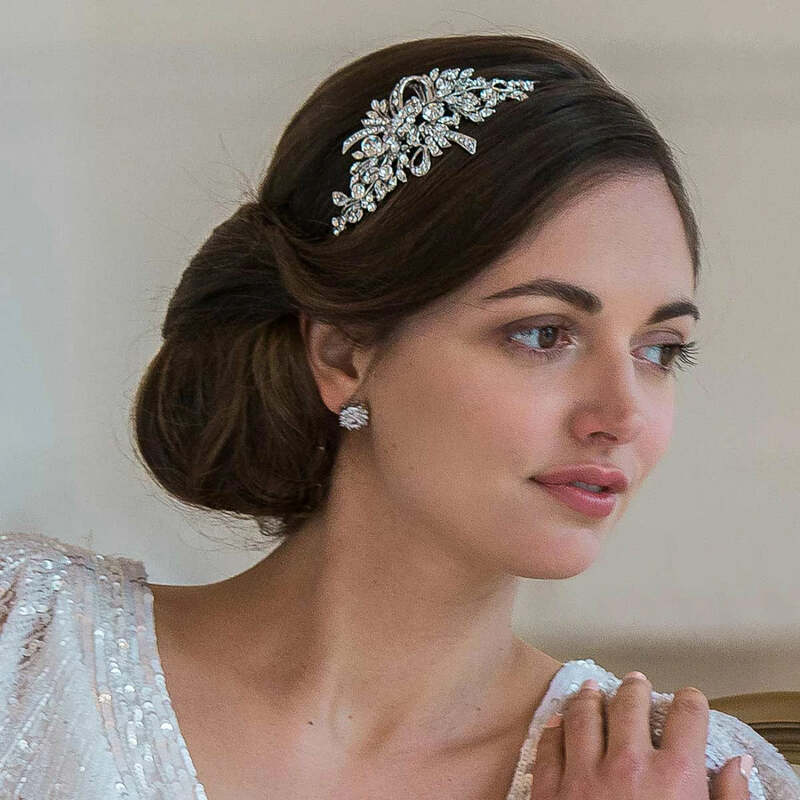 With subtle femininity, its refined design ensures this floral spray side tiara looks sensational with all wedding dress silhouettes from a simple shift to fairy-tale gown. Complete your special day style with timeless studs or petite drop earrings and a delicate bracelet for an understated look worthy of a modern-day Starlet.